We’re proud to release the official MyData 2016 conference App for iOS. 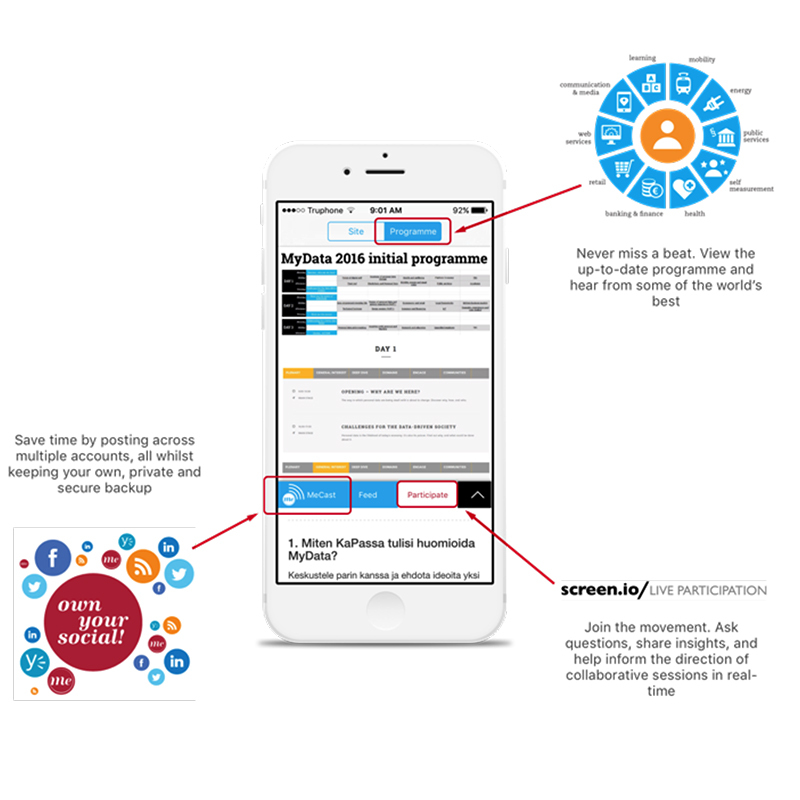 During MyData 2016 the app will be used to communicate the agenda, share insights and communicate with peers and potential collaborators for all around the world. Don’t miss the conversation. The app is made by our fantastic partner Meeco, and it’s based on their service MeCast. MeCast is social in your control and on your terms, making it quick and easy for you to simultaneously post to your social networks, whilst also creating a back-up and searchable personal timeline of all your social posts. So lets get practical, what can you do with the app? Take control of your social, and be part of the movement. Download the app now.